A sky study of light breaking from a thick cloud bank over Tayport Fife. After a fairly dull start, I abandoned it for a few months but later started to experiment with it. 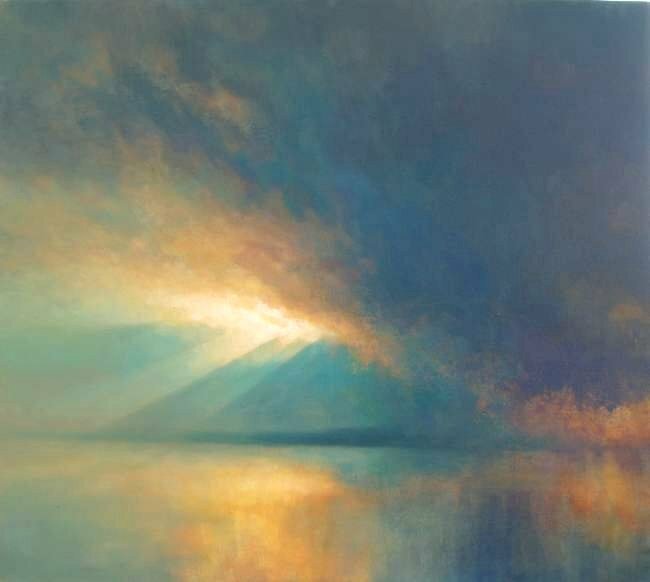 It began to develop into an exploration of the relationship between colour temperature and the representation of light in a painting, so, with growing interest, I followed this to its conclusion. Now I want to do another one.